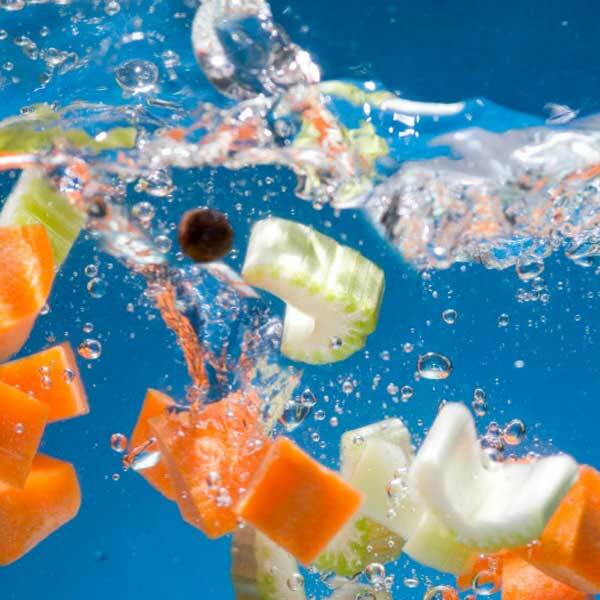 Blanching is a cooking technique in which vegetables are boiled briefly before being plunged into cold water to halt the cooking process. It is used to lock in the flavour, colour and nutritional value of the vegetable, or to partially cook them before they are added to casseroles or risottos. Blanching is also used to help remove the skin of ingredients such as tomatoes.